Basel Burgan has been released on bail after seven days in detention by Jordanian authorities. Basel became the focus of concern in Jordan when he was put into administrative detention on Tuesday, March 19. He was detained and then arrested that day during a meeting where he and his lawyer had voluntarily gone in for questioning with the state prosecutor after being summoned. The case against him is rooted in Jordan’s Cyber Crimes Law. Essentially, he is alleged to have “spread false information that leads to concern and affects a public institution,” according to Article 75 of the Communications Law, and Article 15 of the Cyber Crimes Law. Basel Burgan posted a statement on Facebook in January 2019 where he called into question the safety of the construction that houses a test nuclear reactor inside the Jordan University of Science and Technology and he referenced a report that had been leaked and published by a former employee and expert of the Nuclear Commission residing in the United States. This was the cause of his recent detention. The reaction in Jordan to his arrest has been of sympathy and solidarity. Many environmental, civil society and grassroots groups and organizations have issued statements expressing concern about his detention and calling for his immediate release. A fundamental concern was that Basel was being held in prison without having been charged yet in a court of law or having the opportunity to defend himself from the charges. What are the guarantees that the leakage from the nuclear plant was only an air leakage according to the commission? What comprehensive environment impact assessment research have been conducted to guarantee the safety and well functionality of the plant in accordance with local and international laws and standards? What is the nature of the funding for this project and where is the environmental and economic feasibility studies to back it? The NCANP issued a statement affirming its respect for the Jordanian judiciary but expressed its astonishment at the arrest of Basel Burgan and the initial refusal to grant bail. The Committee acknowledged that the laws in force give the Public Prosecutor the power to order arrests, and it said it stands by all those who work to amend legislation that restricts public freedoms, including the Cybercrimes Law. The Committee also announced the formation of a legal committee to defend Basel. Many Jordanians and concerned people outside of Jordan believe that Basel Burgan will be acquitted and his freedom restored. They look to activist citizens, such as Basel, to maintain vigilance and never hesitate to speak out for the security and safety of Jordan. He is president of the NGO Jordan Friends of the Environment (see www.jofoe.org). He is an Anti-Nuclear Activist and led The National Campaign to save Jordanians from the Nuclear Project. He is a committed opponent of nuclear power generation and instead argues that Jordan can and should achieve the majority of its power needs through renewable solar and wind technology. Basel Burgan is the owner and general manager of Burgan Drugstores, a medical company established in 1952. The company distributes and markets products in diagnostics, pharmaceuticals, over-the-counter products, dental, radiology & nuclear medicine, and hospital supply. Burgan Drugstores employs approximately 35 Jordanians. (see www.burgan.com.jo). In 2017, Basel and a partner founded a new business, Karak Star for Recycling, to recycle paper and carton. This paper pulping and container manufacturing line is located in the Karak Industrial Estate and employs approximately 10 people. (See www.karakstar.com). Basel was part of the National Campaign to Outlaw Honor Crimes in Jordan, a national effort to pressure the parliament to revise the laws governing honor crimes (1996-2000). 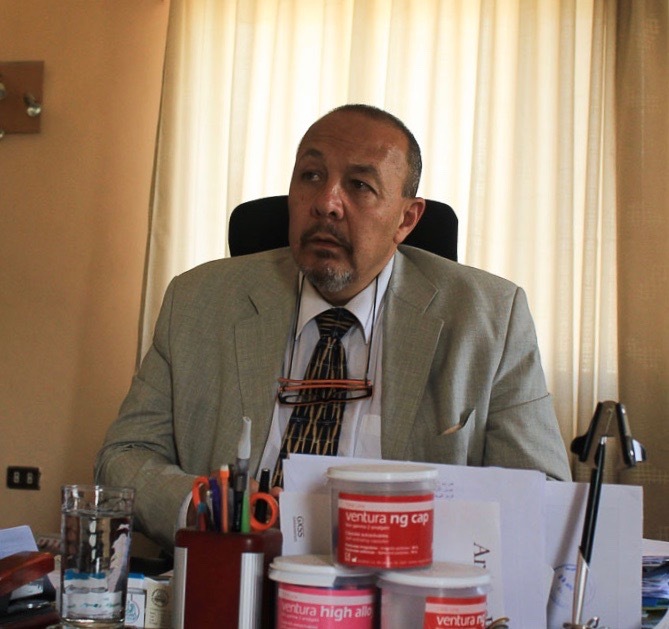 Basel Burgan has a BSc in Pharmacy from Massachusetts College of Pharmacy (1984) and he is a graduate of the Bishops School in Amman (1988).